If you ever dreamed of retiring to an exotic beach on a lovely island buying property in Koh Samui might not be an unusual decision. However, the process of buying property in Thailand is not as easy as some might expect so, in order to make sure that you make the best decision before you are spending your money, here are some guidelines to take into account. Before starting anything do a little research yourself. 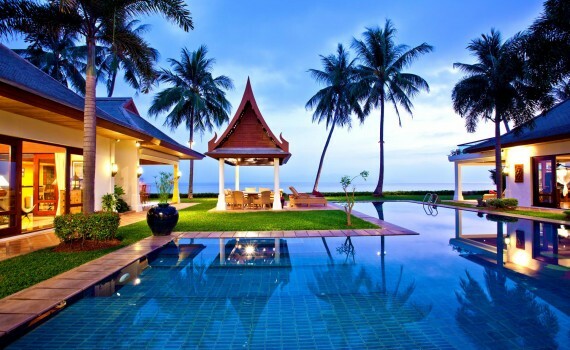 Check out the prices for properties in different areas of Koh Samui and make sure that you understand the strong points and the weak points of every area before starting your journey towards the perfect property. Make sure that you include everything in your budget, the trip there, the stay, the experts you are going to need with you, everything. On top of that, add even more money to make sure that you are well prepared and financially secure when it comes to your decision. Depending on your plan, whether you want to keep the property, offer it for rent, invest in the area and sell it, make sure that you do some digging and see what the best places are. Some places are more tourist friendly while others offer high end residential properties, and you definitely don’t want to mix those up when looking for one type or another. You can’t go wrong with areas like Bophut, Maenam, Chaweng Noi, Chaweng and Plai Laem as they are very close to whatever facilities people living there might need: restaurants, entertainment venues, the beach, medical facilities, etc. But there might be other areas of interest that might be as good as those, all you have to do is go there and make sure that you find them. The bureaucracy in Thailand is pretty high so you might need to make sure that you get accustomed and make a list with everything you need in terms of authorization or papers before starting the process. Make sure that you aren’t in a rush because you will have to be patient to finish the legal documents and eventually find a property you like, more importantly, the perfect property for you. Your preparation should also include getting a lawyer, and while you are searching for one, make sure that you find one with experience in these matters because things can get pretty complicated and you don’t want to be unprepared. However, don’t worry, as usually with an experienced lawyer things are very easy to handle and the process is much faster.